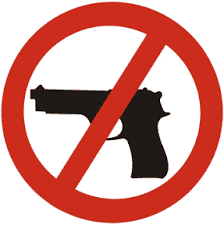 By state law no firearms allowed. No pets allowed in the pier house or on the pier. Rod limit: two per angler; three for pin-rig fishing. No balloons or fireworks of any type are allowed on the pier property. No bicycles or skateboards on pier deck (bike racks are provided at bottom of each ramp). No spearfishing under the pier per Nags Head Town ordinance. You must purchase a wristband to fish a live bait setup. You are allowed one (1) live bait setup and one (1) other rod per person. Additional rods are $7 each and must be tagged at the counter. No BUCKTAILS on the flare end. No sight-casting into the live baits. Pin-rigs must always be monitored. Pin-rig fishing until 8 p.m. only. No bottom-fishing beyond the green line before 8 p.m. Braided line prohibited on the first 100 yards of fighting or anchor rod. Bait buckets may only be hung from the flare end behind the green line. Balloons are prohibited! In-line floats that are retrieved are allowed. 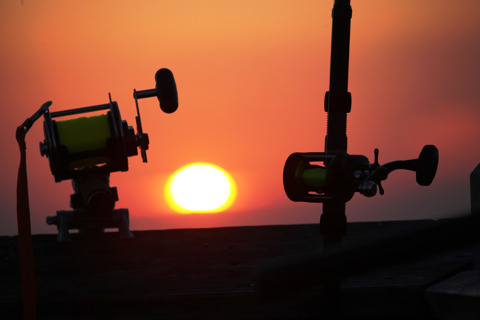 All baits must be launched from the pier. Chumming, fish oil slicks and shark-fishing are prohibited. When an angler is engaged in fighting a fish you must have a wristband to cross beyond the green line. Benches are for sitting. Please place coolers, tackle boxes, etc. on the deck and behind the green line. Do not harm or kill skates and rays that you are not keeping. This is a family pier. Please keep it clean and be respectful and courteous to all other guests.